Our CBD Cat Treats are delicious, nutritious and 100% Grain-Free. Yummy salmon flavor makes these crunchy little bites irresistible. These treats contain only the finest natural ingredients and never contain any animal by-products meals, corn, wheat or artificial preservatives. No artificial colors or flavors ever. 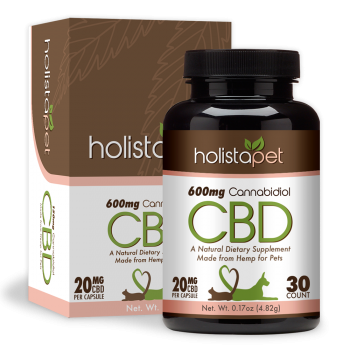 HolistaPet CBD Cat Treats are the perfect treat to reward your little feline friend after a long hard day. 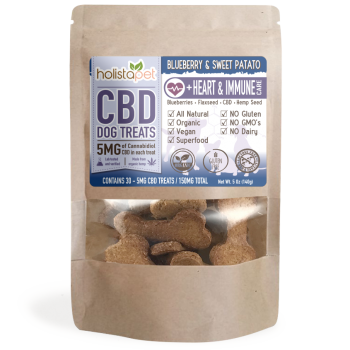 Active Ingredients: Cannabidiol (CBD) – 2mg per treat – 75 treats – 150mg total. Other Ingredients: Salmon, Chicken, Potato Starch, Peas, Brewers Dried Yeast, Natural Flavor, Citric Acid, Potassium Chloride, preserved with Mixed Tocopherols & Oil of Rosemary. Suggested Serving: 1 treat (approx. 2mg of CBD) twice a day or 1 every 8-12 hours. 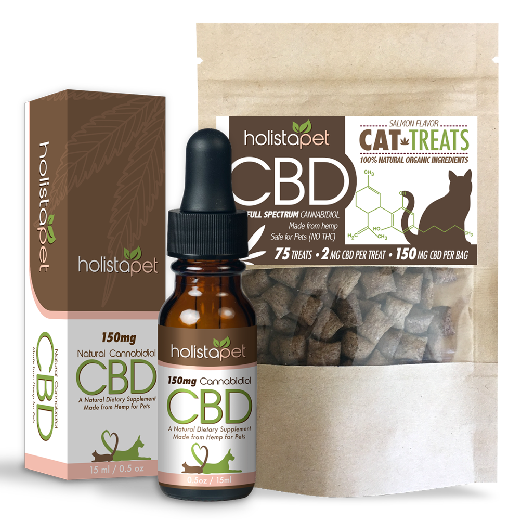 The bundle is a great way to try the CBD Cat Treats and CBD Pet Tincture at a great price. A few months back I purchased a bundle pack to try out and it has made such a difference. My cat used to have angry out burst to the point where he would attack us and our other pets. Once I started giving him the oil every day, twice day I have seen a change in his attitude he is no longer angry and aggressive. I had no idea what I would have done without this product. 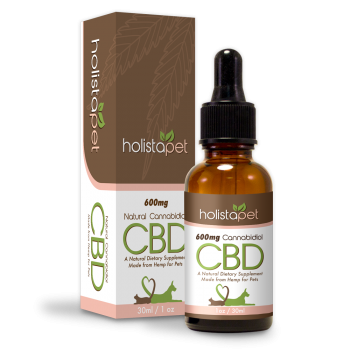 This product has been the best for my dog who sadly suffers from seizures. Ever since I started giving him CBD he’s been seizure free!! I cannot believe how well this has worked!! I have 5 cats and one who is a bully and one who is so skittish a sneeze will scare him off. I gave the skittish one the oil and now he comes out and engages with the other cats. I gave the treats to the bully and I have not had to break up any fights for 3 days. I am amazed and relieved. If I could give 10 stars I would!